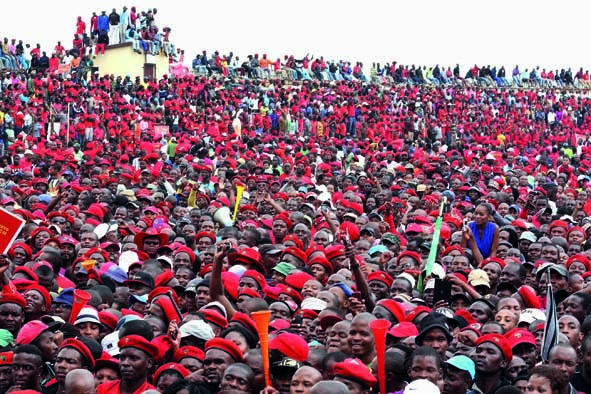 EFF’s Julius Malema has defied detractors who warned him life would be cold outside the ANC. More than one million people gave the EFF their vote, and now former outcast Julius Malema is heading for Parliament to take on the ANC. THE words of Julius Malema’s childhood friend – and now a sworn enemy – have proved prophetic: “Don’t write off Julius yet, he’ll be back. I know him, he always bounces back,” said Boy Mamabolo, who grew up, and was in primary school, with Malema in Seshego township near Polokwane. Read more in DRUM – 22 May, 2014.